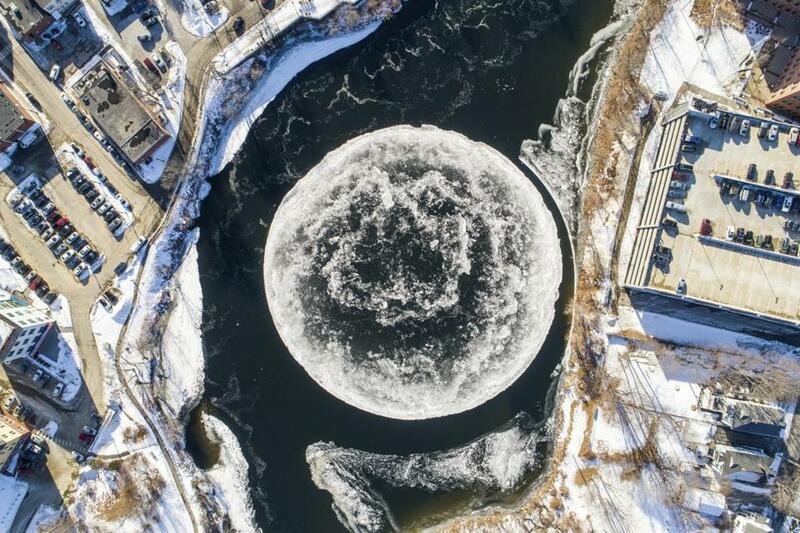 A rotating circle of ice formed on the Presumpscot River in Westbrook, Maine. WESTBROOK, Maine (AP) — Maine’s giant spinning ice disk has met its end because of unseasonably warm weather. It also posted a timelapse of the disk’s final hours. The disk melted a bit and shifted on Wednesday, and continued to shrink until Friday morning, when it finally disappeared. Officials say if the ice melts too quickly, four houses — one in Goffstown and three in New Boston — could be impacted.